The members of the Milton Board of Trade met on Wednesday-evening of last week, in Schoolhouse Hall and effected a permanent organization by the election of the following officers: President, N. W. White; vice-president, Oscar Betts; secretary and treasurer, W. W. Conwell; executive committee, Capt. C. H. Atkins, Dr. J. A. Hopkins, J. Culver, T. W. Jefferson, and T. H. Douglass. About seventy persons were- present, many of whom became charter members. Speeches were made by several, and a general enthusiasm prevailed by the prospect presented at this initiatory. The object of the organization of this Board is to advertise the adaptability of Milton-and its environments to the location of manufactories; its facilities for transportation; its natural advantages for obtaining crude material for supplies and its splendid resources for the raising of truck and vegetables of all kinds. As this is a movement in the right direction, it is hoped it may prove successful to the business interests of the town, no less than to the surrounding country. Surely, a town with all the resources and advantages possessed by ours, should not lie dormant, and it will not if a proper spirit is manifested by those who are in a position to make the “thing go.” It will he remembered by many that years ago our chief industry for labor was in vessel building. This, by the supersession of iron vessels, has long since ceased to be an organ of labor in Milton. There are few wooden vessels now being built in this county; none in Milton. Basing this as a fact, then the people of Milton, in order to their self-preservation, and the preservation of their business at home must, yea, are compelled to turn their attention to something else. Our natural means are as great as they were years agone for the shipment of any product that may be manufactured here, and our artiﬁcial facilities even more so. Then why not this establishment of a Board of Trade be a success? We think it will be no exaggeration to say: We have water power enough around Milton, if properly utilized, to run all of the mills in Broadkiln Hundred. The meeting will convene again on next Wednesday evening for further business purposes. A rousing reception was given to Representative E. Wise Warren, of this, the Tenth .Representative District, at the Ponder House, on Tuesday evening of last week. Speeches were made, toasts were given, smoking was indulged in, refreshments were served, and a general happy time was had by all. At the annual meeting of the Milton M. E. Sunday School Missionary Society, held on Sunday evening, one hundred and twenty seven dollars was contributed as the result of the past year’s collections. This is twenty-seven dollars in excess of its annual apportionment. This must be gratifying to this Society. Mr. J. Coard Hazzard , who has been spending the winter with his daughter and son-in-law, Dr. T. W. Tomlinson, of Wilmington, returned to his home on Tuesday. The Town Council met on Saturday evening and elected the following town officers: Mayor William H. Welch; town bailiff, supervisor of the streets, and collector of taxes, Abel Pettyjohn; for lamp lighter, David Dickerson. Mr. Dickerson succeeds himself, and for his services will receive sixty cents per night, for every evening he shall be obliged to light the lamps. For his supervision of the streets,-the officer will receive $1.00 per day for every day he shall work; for his services as bailiff $2.50 per week, together with a portion of certain fees derived from his bailiwick, and eight per cent tor the collection of taxes. 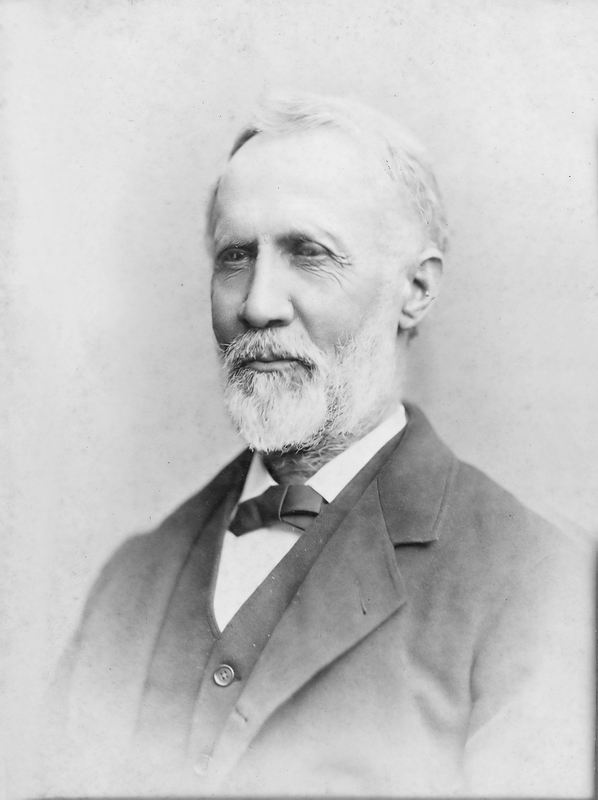 A Mr. William Stevens, president of the Council, was elected at the same time assessor for the town. Rev. W. J. DuHadway, wife and daughter Miss Eva, left to attend the M. E. Conference on Tuesday. Said conference convened at Wilmington on Wednesday. As is the custom with the Wilmington M. E. church, it has liquidated all of its apportionments made by Conference, has settled all of its other expenses, and Mr. DuHadway leaves for Conference with his salary paid in full. There are now plenty of herring offered for sale in town, and the first shad of the season was caught in the Broadkiln on Saturday. Captain Charles Darby and wife, nee Atkins–lately married – and J. Ponder Darby and wife, left town on Monday for their homes. Mr. and Mrs. W. J. Fearing returned from Baltimore on Friday; whither the latter had been to lay in a stock of millinery goods for the coming Easter holidays. Charles Marker and Dorman Porter have gone to Old Point Comfort, Va., where they have secured positions in furniture stores. St. Patrick brought us a fine day on Sunday; and now the despicable English sparrow ls pecking at everything it can ﬁnd, and the sweet song of the robin is heard in the land. An adjourned meeting of the Fourth Quarterly Conference of the M. P. Church was held on Tuesday evening. The Maryland Annual Conference of the M. P. Church will convene at Easton, Md., on April 3rd. The gothic windows inter-laced with cathedral glass, for the M. P. Church, have arrived, and the work of renovating and reconstructing this building is expected to begin in a few days. Ezekiel Cooper, of Dover, D. D. S.; met the members of conclave No. 4, Order of Heptasophs[ii], on Monday evening, and made a public installation of officers. After the installation and speech making were over, the members with their wives and sweethearts, retired to the Masonic Hall, where a banquet was held and refreshments of all kinds were served and enjoyed by those present. Mr. Will Fields and wife returned to Philadelphia on Monday. The post office officials at this place are much worried over the putting of letters into the boxes without stamps on them. The number of letters-thus taken from the boxes on a morning may vary from twenty to eighty, and the worst feature of this proceeding remains to be told—many of the parties mailing letters in this manner, forget to accompany the unstamped letter with any money. It is considerable trouble to lick on eighty stamps of a cold morning, and the postmaster requests that parties stamp their letters a little while longer or until he can order a patent stamp paster with a capacity of pasting on fifty stamps per minute, then put them in the boxes anyway. George Sammons, a young man, died last Sunday morning at his home in Lewes, and his funeral took place Monday afternoon. W. T. Atkins was the funeral director. Mrs. Hettie J. Dorman, administratrlx of John H. Dorman, deceased, will sell at Drawbridge a large quantity or the personal property or the deceased, consisting of household furniture, livestock, farm machinery, farm implements, canning factory, office building, lot of wood, lime, corn, fodder, buckwheat, clover seed, two fireproof safes, etc. The sale will begin on Monday, March 25, at 10 o’clock a. m., and continue from day to day thereafter until all is sold. On Tuesday, April 2nd, she will sell other property of deceased, consisting of household furniture at his late residence. Farmers Bank stock certificates of matured stock, in Georgetown Building and Loan Association, National Building and Loan, and Provident Association of Wilmington stock, Guaranty Building and Loan Association of Wilmington stock, three-fourths interest in the barge Diamond State, one-fourth interest in the “Delaware Democrat Publishing Co.” and building, one-fourth interest in an oyster bed in Chincoteague Bay, etc. Terms—All sums under $25 cash; over that amount in credit of six months will be given by purchaser giving note with approved security. [ii] Literally “Seven Wise Men,” this was a mutual aid organization like the Jr. Order of United American Mechanics and many others of the time. The Order of Heptasophs, with 30,000 members, was merged with the Fraternal Aid Union in 1916.